While it may not get the airtime of, say, Ford’s illustrious Fusion hybrid, Hyundai has a pretty good thing going with its 2015 Sonata Hybrid. A heady driving experience is but one of the upsides to this 5-passenger gas/electric sedan, while a handsome profile and a surprisingly high-end cabin ambiance also enhance this 4-door hybrid. Unfortunately, rear-seat headroom can still be a challenge for average-size adults, the regular Sonata’s 16.4 cubic feet of trunk space is cut to 12.1 cubic feet by the Sonata Hybrid’s battery pack, and furthermore, this midsize hybrid 4-door isn’t as fuel efficient as most rivals in its class. But with a righteous ride, classy cabin and livable MSRP, this hybrid Hyundai fits the medium-size family pretty well indeed. Meanwhile, there are hints that the Sonata Hybrid sedan will get a major overhaul for the 2016 model year, thus no significant changes are expected for the 2015 edition, which returns in 2 trims, Base and Limited. 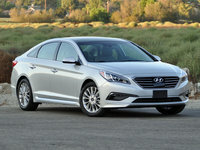 Of course, each Sonata Hybrid variant is again delivered only in front-wheel drive (FWD), with the folks at Hyundai showing no inclination to add an all-wheel-drive (AWD) version to either the regularly powered or the gas/electric trims in the near future. And speaking of the regular Sonata, it’s been redesigned for the upcoming model year and offers a glimpse of the future, features-wise, for fans of the hybrid variation. In any case, power-wise, the 2015 Sonata Hybrid again packs a 2.4-liter inline 4-cylinder (I4) hybridized gasoline engine that mates with a 35-kilowatt electric motor for 199 combined hp and 151 lb-ft of torque. The 6-speed shiftable automatic transmission also remains standard, but look for a capable 7-speed auto-manual transmission to help boost the Hybrid’s mileage numbers over the current 36 mpg city/40 highway when the redesigned versions arrive for 2016. Oh, and Hyundai uses a state-of-the-art 270-volt lithium polymer battery, which the Korean automaker claims will allow this family-friendly 4-door to cruise at up to 74 mph on electric power alone for short distances using the driver-selectable EV mode. As for standard features, the 2015 Sonata Hybrid Base will again sport 16-inch alloy wheels and heated power-adjustable mirrors outside, with premium cloth upholstery, heated front seats, full power accessories and a hybrid-oriented driver's information display gracing the interior. Additionally, cruise control, telescoping tilt-wheel steering and a standard rear-view camera, introduced in 2014, return for the upcoming model year, as does Hyundai’s Blue Link infotainment and destination guidance. The Sonata Hybrid Base also brings back that classy simulated alloy cabin trim for 2015, along with dual-zone climate control and Bluetooth hands-free calling, while entertainment functions again consist of a single-CD player bolstered by 6 speakers, satellite radio and an auxiliary audio input (USB connection). Moving up to the Limited, folks can look for such added bling as 17-inch alloy wheels, leather upholstery, a power-adjustable driver’s seat, remote garage door opener and an auto-dimming rear-view mirror. Furthermore, you can optimize your Sonata Hybrid Limited with the available Premium Package, which throws in such extras as GPS navigation with a 7-inch touchscreen, a panoramic sunroof and a 400-watt Infinity premium audio system boasting 9 speakers including a subwoofer. Finally, standard safety equipment loaded into all 2015 Sonata Hybrids includes 4-wheel antilock brakes (ABS), traction and stability control, front and rear head airbags, front side-mounted airbags and front head restraint whiplash protection. Further standard safety stuff lineup-wide includes daytime running lights, front fog/driving lights, Blue Link emergency communications with stolen vehicle tracking and a remote antitheft alarm. 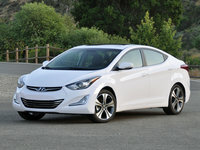 And rest assured that the top-shelf Limited will again toss standard turn-signal-integrated mirrors into the mix. 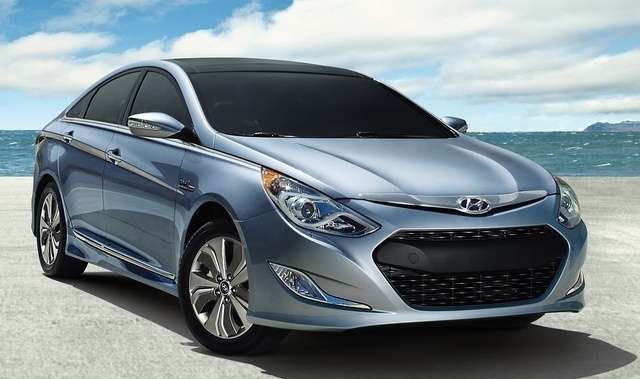 What's your take on the 2015 Hyundai Sonata Hybrid? 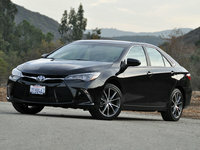 Toyotagold Purchased in July 2015, driving this car takes you to change habits. Learning to use the electric motor while in traffic saves gas, as Americans we typically push the pedal to the metal. This car will do that if you want, expect the EV mode to come on after you have lifted your brick foot off of the accelerator. I got the battery to take it to 85 mph on the open road. If you keep it in town, you will mostly stay on EV mode or work on battery. I recommended that you give the car a mix of driving, it seems to work better that way. I like the luxury \ sporty look, it easily fits my Husband who's 6'1". Typically we drive it 100 miles a day and get close to 40 mph. The cruise control is the best. My main concern is this car doesn't use American steel, which I still believe is the best. They use Korean. Overall, a comfortable car. 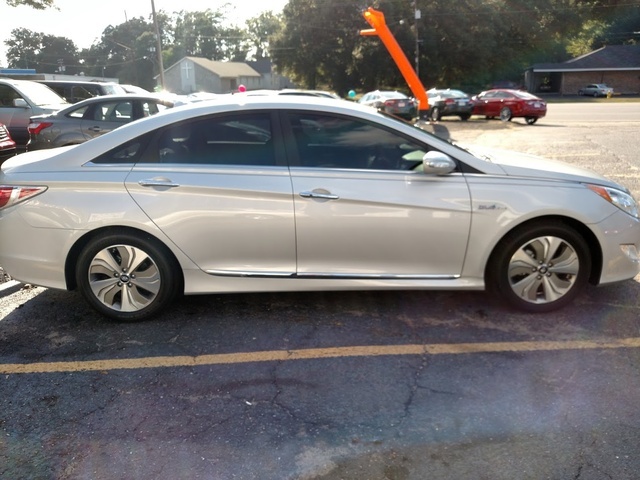 Have you driven a 2015 Hyundai Sonata Hybrid?